With renowned award-winning Danish children’s theatre company Carte Blanche, dive into a puzzling world of water and visual echoes through Water Reflection, where questions are asked about the very meaning of life. Enter into an evolutionary journey starting with the very first unconscious being, and progress to the present day where we (humans) live with an acute sense of self-awareness (sometimes). Be challenged about the origins of life itself. Discover a puzzling world, where the unsettling lurks just beneath the surface. This work is quite unlike anything you will have seen before and may even be more exciting than the Danish royal nuptials. 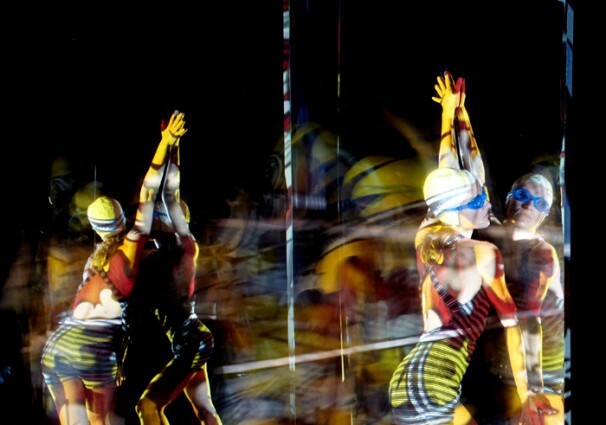 ‘Carte Blanche has created a totally unique and unusual performance about evolution of life. It is truly a performance of such a kind, that you only rarely can experience’.